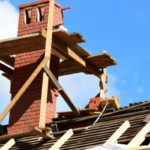 Tuck Pointing, Brick and Chimney Repair Toronto | Turnbull Masonry Ltd > Blog > Blog > Concrete Vs. Stone: Which Is More Cost Effective? Pouring a driveway, creating a walkway, building a patio, or constructing a retaining wall, there are many instances where concrete and stone come in handy. If you are wondering which of these two popular materials is the most suitable for your next project you are asking all of the right questions. It’s always wise to consider all options before making a final decision. After all different projects look best and last longer with different materials. Stone is not made at a manufacturing plant, instead real stone is derived from many natural materials that take thousands of years to form within the earth. Due to this, stone pavers have a beautiful, natural quality that is hard to ignore. There is a premium you will pay for stone for three main reasons. One, there is a limited amount of stone. Two, it takes thousands of years for stone to develop in the earth. And three, it must be dug out of the earth via stone quarries. 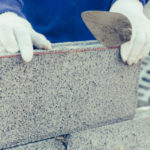 Stone is going to cost more than concrete from the get-go, but may require less maintenance over time, especially if you go with one of the strongest variations, such as granite stone. If you are planning on using natural stone to construct a retaining wall, pillars, or other form of upright construction there are unique things to consider. For instance, there are always small spaces and gaps between the stones meaning drainage may become an issue. Stone offers a better option for shorter retaining walls as opposed to taller retaining walls; tall walls are best left to concrete or brick. Different types of stone have varying strength, if you use a stronger variation of stone, such as granite, it may prove more durable than concrete, which is largely praised for its strength. Just like concrete, stone may require sealants to prevent it from breaking down. Concrete is not made from natural materials and is instead formed using a number of raw materials mixed together at a manufacturing plant. Concrete is formed from a mixture of aggregate, cement, pigments and dye. These materials cost less to produce than stone, hence why concrete pavers are a more economical option. Concrete is usually cheaper to purchase and install compared with stone, but it may tally up additional costs over time. 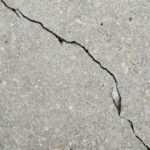 Concrete is far more prone to cracking than stone, in fact concrete is guaranteed to show signs of cracks over time. 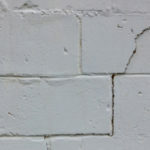 So while concrete costs less to install it gets pricier over time in regards to maintenance work to fill in cracks and other signs of wear and tear. Still, with proper maintenance and upkeep concrete can last a very long time. Pavers are a great option for both stone and concrete because they reduce many of the issues associated with both materials, thus reducing maintenance costs. In fact, many stone pavers even come with a lifetime warranty. Pavers are cut up into separate units or “bricks.” As a result, a lot of the stress and strain placed on stone or concrete is decreased as well as the risk for cracks or other surface damages. If one paver becomes damaged it can easily be replaced since pavers are formed uniformly. If concrete or stone pavers are an option for your project they are definitely worth considering. 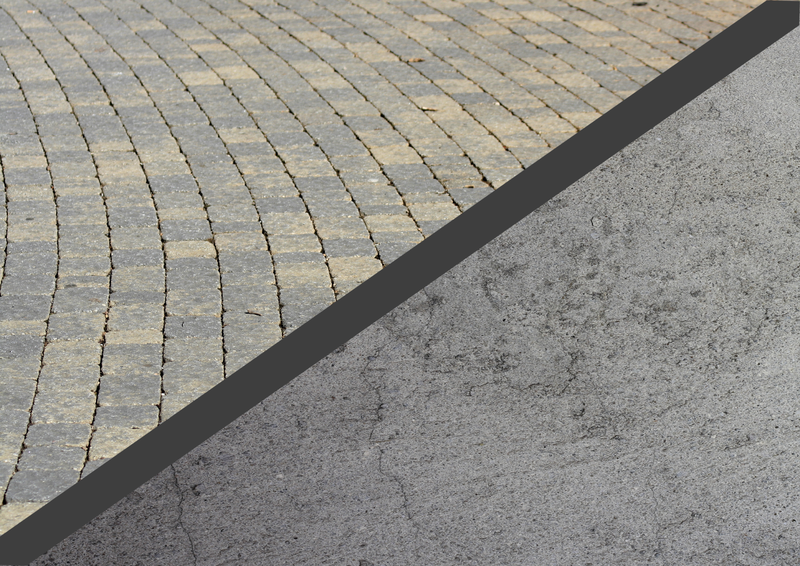 Which Is More Cost Effective, Stone Or Concrete? Comparing the two side-by-side it’s difficult to tell which is the more affordable option. Right off the bat, it’s going to cost you less money to buy and install concrete than stone but that doesn’t mean there are no other costs to consider. Concrete is highly prone to cracks and tends to require more maintenance. Stone is going to cost more from the get-go but will provide a standout look you won’t find elsewhere. If you go with the most durable (and expensive) types of stone it will likely look great for a very long time. Is the best material for your next project concrete or stone? The final answer depends on the project at hand, and your personal preferences. Talking with masonry professionals will help you make the best decision regarding stone or concrete materials. Contact Turnbull Masonry today for personalized expertise, superior work and affordable prices!